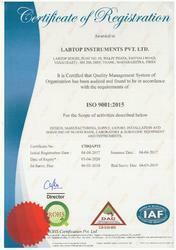 Established in the year 1996, we, “Labtop Instruments Pvt. Ltd.”, an ISO 9001:2015 & ISO 10002:2014 certified firm is widely known as trusted manufacturer, supplier and exporter of a wide array of Bio Freezer, Platelet Agitator and Other Laboratory Instruments. Earlier, our organization was named as Skylab Instruments & Engineering Pvt. Ltd. Owing to the peerless standards of offered laboratory products, our products are widely demanded in 38 countries, including the UK and US. Offered laboratory instruments are used in research laboratories, pharmaceuticals, educational institutes, blood banks and hospitals. We are also planning to enhance our range of microbiology and blood banking. We have a well-developed infrastructure that is sprawled across 20,000 sq. ft., have two floors and is fitted with all the required amenities. Our infrastructure is developed as per the guidelines laid by the government. In addition to this, we have appointed professionals who carry out technological research and with their innovation enhances the quality of offered laboratory products. Our professionals cater to the varied requirements of patrons with great enthusiasm due to which we have been able to maintain cordial relationships with them. Owing to our qualitative product range, market-leading prices, experienced professionals and ethical business dealing, we have mustered a huge client base across the markets of East Europe, East Asia, Central America, North Europe, Middle East, South America, South/West Europe, South East Asia, North America, Australia/NZ, Indian Subcontinent, Caribbean, East/Middle Africa, South/West Africa & North Africa. Our managing director, 'Mr. Byju C. George' pay special attention towards the satisfaction of patrons. Owing to which, we are able to decrease the downtime to the bare minimum when it comes to time-critical laboratory instruments and scientific equipment. He adds, "For over a decade it has been our constant endeavor to research, improve and upgrade all components that go into the making of each of our products. By adhering to international standards, being consistent with prescribed quality norms and sustained investment in state-of-the-art manufacturing technologies Labtop has always aimed to minimize downtime to the least. With dedication, sustained up gradation of technology, adherence to international standards, regulations and industry norms, and with innovation being at the core of every activity pursued, we endeavor to scale up to the pinnacle in manufacturing, exporting and marketing laboratory instruments and scientific equipment. We would pursue this vision with quality services, experience and expertise, outstanding personnel, commendable overall management and timely delivery. Product performance and service capability are our cornerstones, and we will strive to build on it the complete framework of all our processes. Our people constitute the anchor that keeps us firmly grounded in our vision, and we will continuously strive to provide a congenial work environment, in line with our policies on improving the quality of life of our employees. 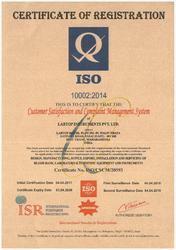 Our clients, associates, and well-wishers from the superstructure of this organization. We will endeavor to remain steadfast in all our decisions and policies, uphold the trust reposed on us and carry our responsibilities diligently. With the support of our dedicated and competent professionals, we are able to cater to the varied requirements of patrons in a smooth manner. Our professionals are selected on the grounds of their qualification, work experience and dedication towards their work. We also conduct seminars and workshops with an aim to enhance their knowledge of this domain and improvise their skills. Our professionals work with full dedication and employ the best of their ability to achieve the aims of our organization. Abiding by ethical business policies, we are engaged in manufacturing, supplying and exporting a broad array of Bio Freezer, Platelet Agitator and Other Laboratory Instruments. With an aim to stand too tall on the expectations of patrons, we provide after sales services for offered laboratory products. Along with this, we provide these laboratory products in accordance with the given details.